Rack mounted pre-amp with stereo/mono output. 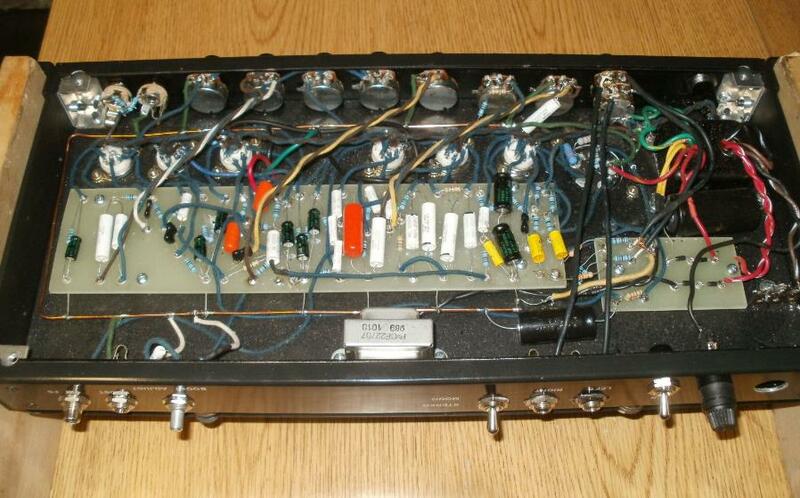 Preamp tone circuit is basically the same circuit used in black face Fender Princeton, same tone caps as Deluxe, Twin, Vibrolux, etc. Also uses the same tube reverb circuit of those amps. The tremolo circuit is a 3-tube harmonic tremolo used in the brown face Super, Vibrosonic, and Concert, that pulsates treble and bass, rather than volume. Cool 3-D effect with the stereo output. Controls are Volume, Treble, Middle, Bass, Reverb, Speed Intensity, Master Volume, and Boost Adjust on the rear panel. Has footswitch for tremolo and for a mid boost that is adjustable with the control. Available in all international voltages. 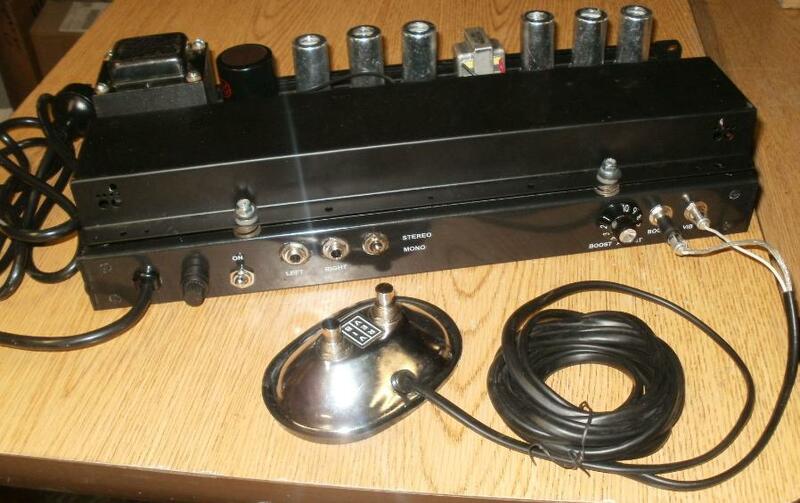 Deposit for Tube-Tone Rack Mount Preamp. Total price is $1250 with free ground shipping in continental US, or $1210 plus shipping to other destinations. Please inquire on our discounted FedEx and GLS shipping price. Specify 120v or 230v. California residents, sales tax is added.